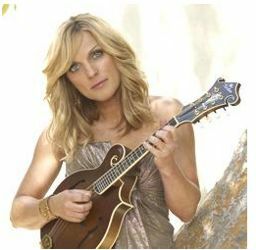 Nashville, TN -- Rhonda Vincent, who the Wall Street Journal named "The New Queen of Bluegrass," has reason to celebrate as she takes the top 2 spots on the November Bluegrass Unlimited chart. "Busy City" takes over as the brand new #1 song on the national monthly survey. In addition to holding the top spot, Rhonda also moves up to #2 with "Only Me" featuring Willie Nelson. "Busy City" is an up-tempo bluegrass track, which speaks about living a busy lifestyle, and constantly being on the go. The Jesse Daniel penned track was originally cut by Rhonda's two daughters who make up the bluegrass duo Next Best Thing. Rhonda liked the track so much that she decided to record it, along with releasing it as a single. Both tracks come from Rhonda's latest album, Only Me, which debuted at the top of the Billboard Bluegrass Albums chart earlier this year. The special 2-disc album features a collection of half country and half bluegrass songs. The Rage assist on the bluegrass side of the album, while the 6 country songs feature "ACM Steel Player of the Year" Mike Johnson on the steel guitar, Tim Crouch on the Fiddle, in addition to many more world class musicians.